Who can do anything, with a wave and a spell. Are forged by these fairies, and the wills of the bold. Perhaps this time, with a different end. Peritale tells the story of a magicless fairy named Periwinkle, and her quest to gain her peers' approval by fulfilling a simple Fairytale. If she is able to join two designated humans in destined wedlock, she can prove she's just as good as any other fairy! Are... are the humans on board with this? What a strange question! 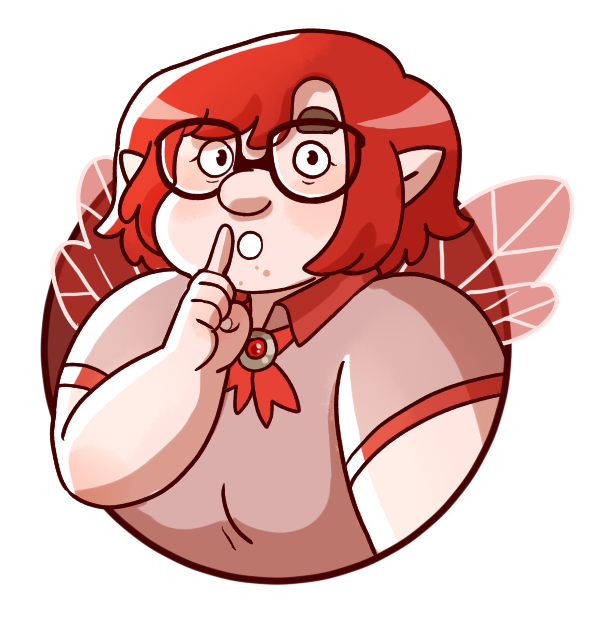 Mari is a bear who draws webcomics. She goes to school in a nebulous vacuum and she lives in Portugal. She really likes collecting snowglobes, Disney's Enchanted, and talking about her stories. You can find Mari on tumblr and twitter. While this website and the tumblr are entirely child friendly, do be careful when visiting the twitter!